It's a double whammy for our coverage round-up today, with coverage for two clients; Lottoland.co.uk and BigDudeClothing.co.uk. Our first coverage comes from Lottoland, who carried out research to see where Brits would most like to live if they could move abroad. This was covered on the Daily Star. Our second coverage round-up comes from BigDudeClothing, a supplier of clothing for larger men. 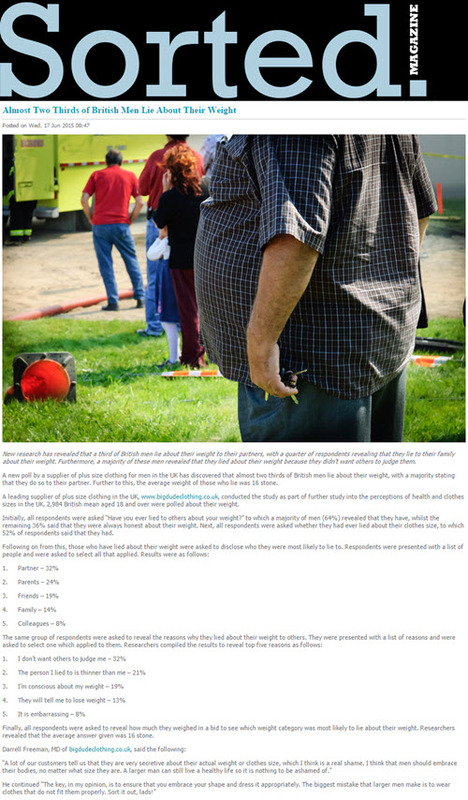 Their survey on whether men are secretive about their weight. This was covered on Sorted Magazine.